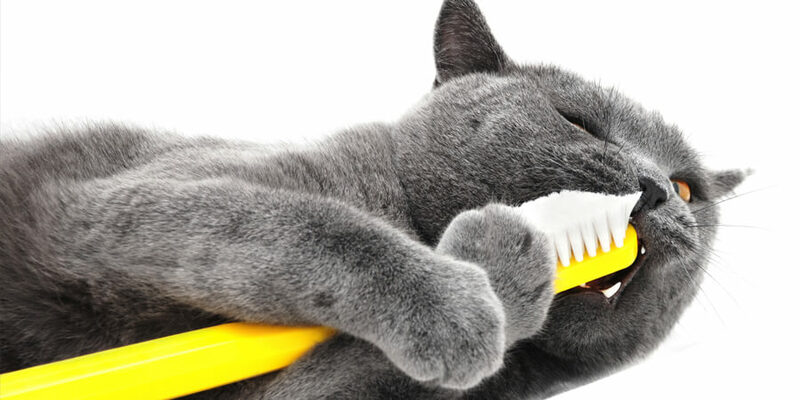 Brushing your cat’s teeth may sound daunting, but is a wise investment in your pet’s health. Dental issues are a top reasons for vet visits, and simple halitosis can often be an indicator of more dangerous problems. By regularly cleaning your cat’s teeth, you’ll be helping remove potentially harmful bacteria, and will be more likely to notice when something is off in their oral health. 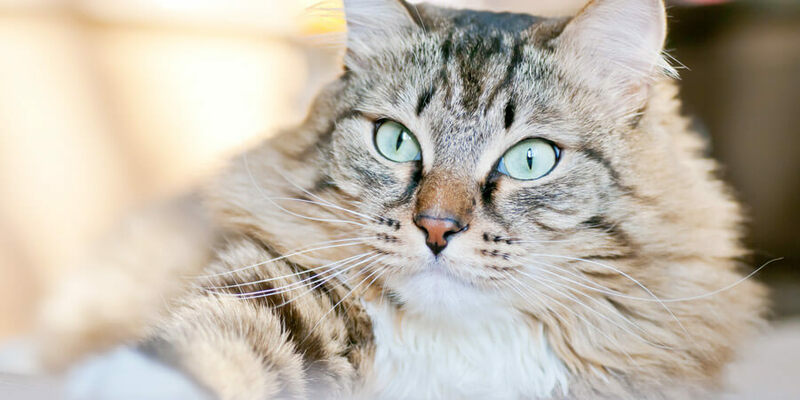 Don’t stress, and follow these six easy tips to make sure your cat’s teeth are in top shape. 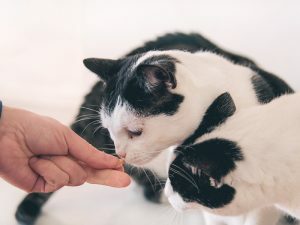 While most of us are understandably reluctant to stick our hands in a cat’s mouth, getting your cat used to having his or her lips lifted and teeth exposed for short periods of time will help make routine brushing less dramatic. Get them used to this sensation before introducing actual cleaning. 2. Get the right supplies. Pick up a soft-bristled toothbrush and a pet-safe toothpaste. 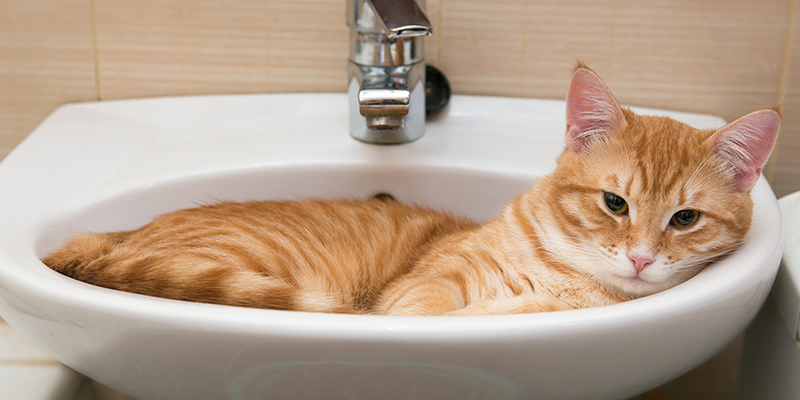 Don’t use human toothpaste, as fluoride can be poisonous to domestic animals. Xylitol, a sweetener commonly found in dental products, is also hazardous to pets. As for the brush, you can either purchase one that slips over a finger, or one that is smaller and specifically designed for a cat’s mouth. If you have more than one cat, make sure each gets his own brush. 3. Pick a cozy spot. 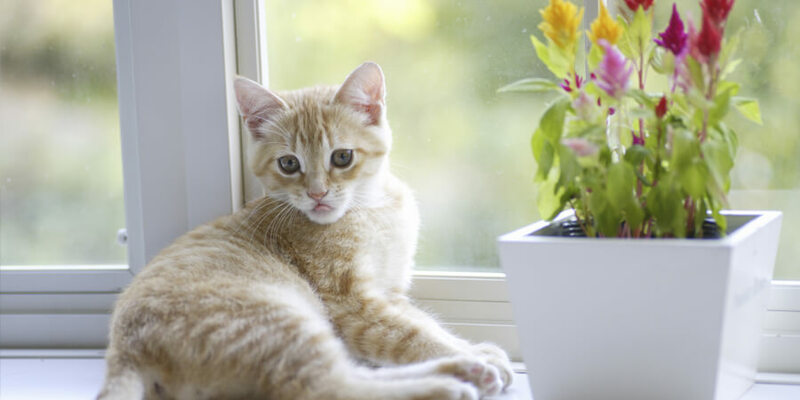 Position your cat on a comfortable surface where he can relax and won’t be able to escape. 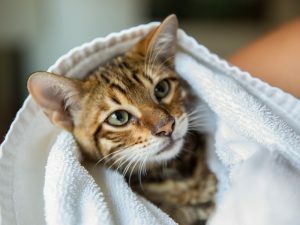 You may also want to consider wrapping your cat in a towel to keep him from scratching, as well as wearing gloves and long sleeves. Get your cat used to the taste of the toothpaste by applying it to her gums for a few days in a row. Separately, introduce her to the toothbrush and let her claim it as her own before trying to put it in her mouth. 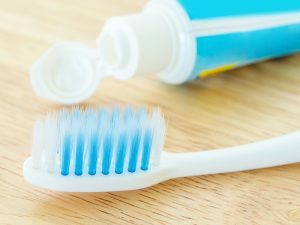 On the third or fourth day, put the toothpaste on the brush and experiment with brushing a few teeth, until your cat lets you run the toothbrush gently along the gum and teeth. 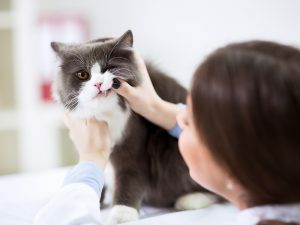 Once your cat is used to this motion, work the bristles of the brush along the gum line of the upper back teeth and angle slightly up, so the bristles get under the gum line. By the end of the week, you can start to make small circles along the gum line working from back to front, massaging the gums. It shouldn’t take more than 30 seconds total to brush all her teeth. 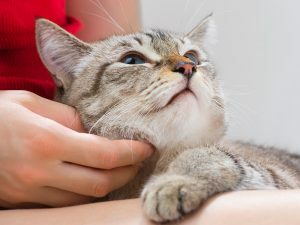 If your cat reacts well to the brushing, reinforce the behavior by immediately rewarding her with a small treat or toy. 6. Keep up the good work. While the official recommendation is to brush your pet’s teeth once daily, brushing once or twice a week is better than not brushing at all. In between brushings, you can also help clean your cat’s teeth with a variety of food, snacks and even toys designed to help remove plaque. Of course, proper dental hygiene includes routine visits to the veterinarian to ensure that there are no other serious oral issues. Some cats may also need a professional cleaning on top of home dental care due to plaque buildup. 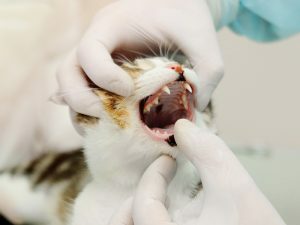 While cleaning your cat’s teeth probably won’t be your favorite activity to do with your cat, it is an important part of keeping them happy and healthy.